As technical products become more complex, the related technical customer services also do. The required information to accomplish technical customer services are dynamic, complex and at the same time business critical for the success of the services. This chapter deals with the process-oriented integration of product development and service documentation for the support of technical customer services (TCS) in machine and plant construction, illustrated on the example of the heating, air conditioning and sanitary engineering (HAS) branch. Both using mobile application systems and creating a product service system can increase the efficiency of procedures in service provision. The development and provision of the product service system calls for an interdisciplinary perspective. The problem, as well as the solution on the basis of hybrid added value, the structure of the product service system, the IT-concept and the implementation of the service process modeling will be discussed in detail in this article. In conclusion, the concept presented here will be explained in a practical use case. Value-added partnerships in the machine and plant construction industry are an established tool for reducing costs and increasing efficiency. They are especially used in areas of branches where customer service is provided for serially produced products over a large geographical area. A separation of tasks occurs here between manufacturers and independent customer service organizations. They also act as resellers and represent the only contact to the customer (multi-level distribution channel). However, today breaches in the flow of information still accompany the division of tasks along the value-added chain. This separates product and product-related services and thus, leaves enormous improvement potential unrealized. With approximately 965,000 employees, the machine and plant construction industry is the largest industry in Germany (VDMA, 2008). Today, companies address the increasing competition in this field by way of customer retention. The manufacturers’ central aspect here is the expansion and improvement of their service offers, especially in technical customer services (TCS), which can be seen as the interface between the production and the use of the products (Bolumole et al., 2006; Czepiel, 1980; Harris, 2007; LaLonde, 1976; Peel, 1987; Sterling & Lambert, 1989). The manufacturers own service organizations are not the only ones acting in this branch, but also outsourced small and medium-sized enterprises and trade and repair businesses, which carry out inspections and maintenance work needed within the product‘s life cycle (Willerding, 1987). To adequately fulfill the tasks connected with these services, a technical customer service team must be provided with the right “mix of information”. The central problem here is to determine the scope, moment and detailing of the decision-relevant information (Sawy & Bowles, 2003; Timm, 2005). Current approaches for the support of TCS often fail due to the increased complexity of the machines and the need for the representation of service processes connected with this. The result is faulty start-up, maintenance and repair work and thus, extended machine down times, which, in the end, result in higher costs for the customer and market deficits for the manufacturer. The field of heating, air conditioning and sanitary engineering (HAS) is ideal for achieving trend-setting research results in regard to the problem, objective and approach. On the one hand, manufacturers in this field produce sophisticated, technically complex products, and on the other hand, TCS is carried out, for the most part, by trade and repair businesses and service organizations from the HAS trade (Hoppe & Sander, 1996) (cp. Figure 1). The diversity of maintenance objects from the HAS branch confronts the TCS to very different challenges, for example, the repair of defective cisterns or the repair of operational faults within complex heat generation plants (Bundesinstitut für Berufsbildung, 2004; Haines, 2006; MacQuiston, 2005). Different challenges for the technical customer services in the HAS branch are seen by the manufacturer, the trade and repair businesses and the customer service technicians. Products from the HAS branch are provided to the market predominately through the approximately 50,000 specialized HAS enterprises and their approximately 300,000 employees in Germany. The TCS is rendered by the manufacturer‘s customer service team or service partners selected by the manufacturer or specialized HAS enterprises (Hoppe & Sander, 1996; Willerding, 1987). The challenge for manufacturers in the field of TCS consists in communicating repair and product knowledge to the respective customer service organizations. Thus, training is provided for customer service technicians, telephone support set up for carrying out repairs via call centers and technical documents are made available, whether in paper or electronic form, for example on CD-ROM. For manufacturers, this challenge is extremely time-consuming with regard to the provision and transfer of this knowledge. Thus, in some businesses, more and more jobs for consultants are being created, in order to manage the increasing demand for repair information. Despite these high expenses on the part of the manufacturers, many mistakes are still made by the TCS. On the one hand, the defective maintenance and repair work results in extra costs for the manufacturer for additional services (for example: warranties, guarantees, goodwill) that cannot be allocated to the customer. And on the other hand, the manufacturer runs the risk of losing important market shares due to customer dissatisfaction. HAS trade and repair businesses must also differentiate themselves from their competitors, keep existing customers and win new customers (MacQuiston, 2005). This takes place more and more over the TCS. The challenge for HAS businesses in the field of TCS is that they must use products from different manufacturers and filter out the right information for certain repair situations from the abundance of information provided by manufacturers (Howell et al., 2005) (cp. Figure 1). It is not only difficult, but also cost-intensive for the trade and repair businesses to balance out the wide-range of knowledge from the customer service technicians, transfer this information to adequate repair tasks and compensate for the loss of knowledge in a company due to the retirement of experienced employees. In analogy to the argumentation of the manufacturer’s perspective, extra costs also result for the HAS businesses from additional customer service assignments. The way the HAS trade works has changed from the function-oriented division of labor to a more process-oriented view. The entire customer order process has become a main focus – especially in TCS. The customer service technician renders his services more or less “solo”, on location; i. e., he is responsible for carrying out his work correctly and identifying and procuring the spare parts required. The successful execution of the repair – and with it, the economic success of the HAS company – is considerably affected by the effectiveness and efficiency of the work done. The main problem for the customer service technicians is however, the large number of manufacturers and products to be serviced. Even experienced customer service technicians, let alone inexperienced technicians, can hardly manage the resultant complexity of the TCS-tasks. 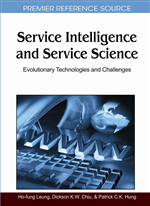 Due to this complexity, the identification and optimum design of service processes has gained in importance, as well as the support of the TCS by mobile, internet-based information systems, which allow the customer service technicians to access the most current service information at any time and at any place (Isaac & Leclerq, 2006).